Ethereum price struggled to trade above the $145.00 resistance and declined recently. ETH/USD is currently moving lower and it could dip 5% towards the $136.00 support area. Ethereum price extended losses below the $142.00 and $140.00 support levels. ETH traded below a key bearish flag with support at $140.40 on the 30-minute chart. Bears are taking control and they could push the price towards the $136.00 support. Trade Ethereum automatically with Cryptohopper. There was an upward move from the $140.00 support in Ethereum price above the $142.00 level. However, ETH/USD struggled to break the $144.80-145.00 resistance area, resulting in a fresh decline below the $142.00 support. Looking at the 30-minute chart of ETH/USD, the pair traded as high as $144.88 and later declined sharply. It broke the $142.00 support area and a connecting bullish trend line to move into a bearish zone. The price even broke the $140.00 support and settled below the 25 simple moving average (30-min). A new weekly low was formed at $138.31 before the price corrected higher. It traded above the $140.00 level and the 50% Fib retracement level of the last slide from the $144.88 high to $138.31 low. However, the $142.00 resistance area and the 61.8% Fib retracement level of the last slide from the $144.88 high to $138.31 low acted as a strong resistance. Finally, there was a fresh decline below a key bearish flag with support at $140.40 on the same chart. It has opened the doors for more losses below the $140.00 support and the $138.31 swing low. In an ideal bearish scenario, the price is likely to decline 5% (similar to the last two patterns) and test the next key support at $136.00. However, it won’t be easy for sellers to remain in action since there are many supports on the downside close to $138.00 and $136.00. On the upside, an initial resistance is near $141.00 and the 25 simple moving average (30-min). The next key resistance is near $142.00, above which Ethereum price may revisit the $145.00 resistance area. Overall, the crypto market seems to be correcting lower and there could be more losses in BTC, ETH, XRP, XLM, LTC, BCH, EOS and others before buyers emerge. 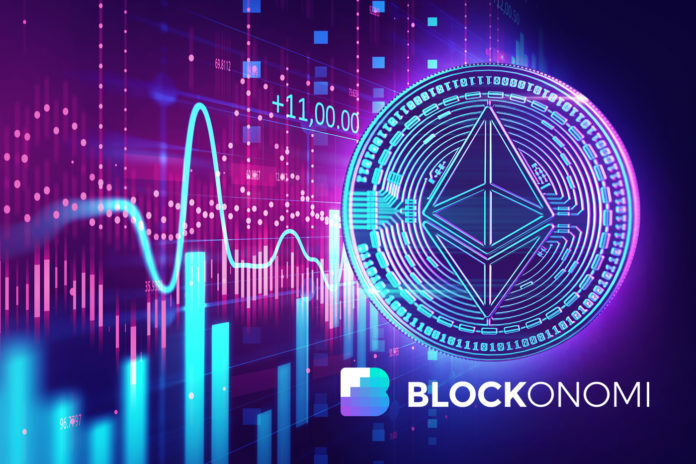 The post Ethereum (ETH) Price Prediction: Another Dip Towards Key Support appeared first on Blockonomi.